I don’t have a technique to bring to you today but there will definitely be some in the future with all these wonderful new tools and notions that I have in my studio. Today I went with Carla & John from QUILTsocial and A Needle Pulling Thread magazine to visit H.A. Kidd. 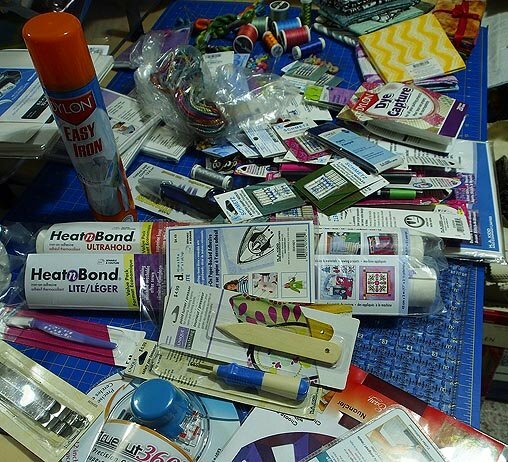 They are a huge notion, tool, sewing and craft products manufacturing and distributing company in Toronto who supply quilt shops, craft shops and other retail shops with all kinds of notions, tools and a multitude of other goodies.